Choose from among a principled class of biblically wise financial professionals who have been trained in biblically wise financial advice for clients who long for peace of mind and purpose in their financial dealings. This is the first step toward living out your faith in your financial decisions under the care of an advisor who has demonstrated professional competence and a commitment to biblically wise financial counsel. Kingdom Advisors’ vision is to advance the provision of biblically wise financial advice by creating and maintaining a recognized and credible certification of Christian financial, legal, and accounting professionals committed to offering such advice. From time to time, Kingdom Advisors receives requests for information about an individual who has been certified as a Certified Kingdom Advisor®. In response to such requests, Kingdom Advisors has determined that the provision of any of the following information will serve to further its mission: certification status of an individual, professional education and qualifications as reported to us by a certified individual, any disciplinary actions against an individual by Kingdom Advisors, the business name, address, phone number, e-mail, and website link of the certified individual. In order to provide you with efficient retrieval of that information, we have created this searchable database to allow you to be more informed as you make a decision regarding a financial advisor. The listing of a Certified Kingdom Advisor® in this searchable database is for informational purposes only and may in no way be considered an endorsement of, referral to, recommendation for, or offer to purchase any product or service from a Certified Kingdom Advisor®, nor should it be deemed to be an offer to sell, trade, or purchase securities. The trademark, "Certified Kingdom Advisor®" is the property of Kingdom Advisors and is legally used by anyone other than Kingdom Advisors only by permission. Designation of an individual as a Certified Kingdom Advisor® indicates that the individual has completed the initial and ongoing certification requirements established by Kingdom Advisors. In addition, a Certified Kingdom Advisor® may be required by state or federal law to hold other licenses, qualifications, or certifications in order to conduct his or her business activities. Neither Kingdom Advisors, nor its members, nor brokerage or other firms with which Kingdom Advisors members may be affiliated make any representation, warranty, guarantee, or other assurance as to whether a particular Certified Kingdom Advisor® holds such licenses, qualifications, or certifications. You must independently obtain and verify this information from the particular Certified Kingdom Advisor® or from other reliable sources. Kingdom Advisors relies heavily upon its members' representations of their qualifications, certifications, and activities and is not bound to engage in any independent corroboration of such qualifications or activities. Therefore, while the information and content provided herein has been obtained from sources believed to be reliable, such information and content may in no way be considered a representation, warranty, guarantee, or other assurance by Kingdom Advisors, by the members of Kingdom Advisors, or by brokerage or other firms with which Kingdom Advisors' members may be affiliated, as to the accuracy, completeness, or appropriateness of content, qualifications, certifications, or activities for any person or situation. BY MOVING FORWARD TO THE SEARCHABLE DATABASE YOU ACKNOWLEDGE AND AGREE THAT NEITHER KINGDOM ADVISORS, NOR ITS MEMBERS, NOR BROKERAGE OR OTHER FIRMS WITH WHICH KINGDOM ADVISORS' MEMBERS MAY BE AFFILIATED ACCEPT OR WILL BE SUBJECT TO ANY LIABILITY FOR ANY DIRECT OR CONSEQUENTIAL LOSS ARISING FROM ANY USE OF THIS INFORMATION OR ITS CONTENTS. We recommend that you consult with a financial, tax, or legal advisor who is familiar with your situation before taking any action. Search results are limited to the first 200 records. Choosing a Certified Kingdom Advisor® allows you to partner with someone who shares your Christian worldview so that you can confidently navigate financial decisions as a faithful steward. By successfully completing the rigorous Certified Kingdom Advisor® coursework and examination. By agreeing to espouse and practice the Kingdom Advisors Code of Ethics (provide link to this part of the QKA document in PDF here), by maintaining active local church involvement, and by providing pastoral and client letters of reference. Financial Planner - The Financial Planning process seeks to help people use God-given resources to accomplish God-given goals. The Christian financial planner can: (1) Help clients to identify the goals God has put in their heart to accomplish and then quantify how much is necessary to accomplish them, (2) Motivate clients to proactively take the steps necessary to reach a more desirable future by making better use of existing resources and increasing cash flow margin, and (3) Help clients to stay on track and maintain their progress toward their pre-determined goals, resulting in peace of mind. The Christian financial planner can encourage those with abundant resources to determine how much is enough for themselves and their family and to add an eternal perspective to their stewardship with increased levels of charitable giving. At a minimum, a comprehensive financial plan should include the six-step process as outlined by the Certified Financial Planning Board of Standards, Inc.
Investment Professional - Include the following: Fee-Only Investment Advisor (Registered Investment Advisor Representative) or Investment Consultant (Registered Representative with a Stock Brokerage Firm). An investment professional provides professional expertise to the management of investment assets held in retirement accounts, trusts, individual and joint accounts. The difference between a fee-only investment advisor and an investment consultant is that a fee-only investment advisor is compensated by fees directly from the client and an investment consultant is compensated from commissions derived from the purchase or sale of a stock or mutual fund. Attorney - An attorney is a person who has passed the bar exam in their state and is licensed to practice law in that state. Attorneys tend to specialize in certain areas of discipline. Those most involved with Kingdom Advisors tend to be proficient in the area of gift and estate planning. This would include areas such as income and estate tax planning, wealth transfer, and charitable planning. The following is a list of legal specialties as they relate to financial planning: gift and estate tax planning, business succession planning, charitable planning, income tax planning, business law, family partnerships, and corporate reorganizations. Certified Public Accountant (CPA) - CPAs are accountants that have been licensed by the respective agency responsible for professional licensing in their state. CPAs, in general, are better certified than accountants or bookkeepers that are not CPAs because of the requirements for the CPA examination, experience, and continuing education. The services that a typical CPA firm may offer are: tax preparation (individual, corporate, other), audits, business assurance compilations and reviews, appraisal services for a business, and personal financial planning (PFS designation). Enrolled Agents - An Enrolled Agent (EA) is an individual who has demonstrated technical competence in the field of taxation. EAs can represent taxpayers before all administrative levels of the Internal Revenue Service. Only EAs, attorneys and CPAs may represent taxpayers before the IRS. Unlike attorneys and CPAs, who may or may not choose to specialize in taxes, all EAs specialize in taxation. EAs are the only taxpayer representatives who receive their right to practice from the United States government. CPAs and attorneys are licensed by the states. Insurance Professional - An insurance consultant helps people find adequate amounts of insurance coverage at competitive prices. The insurance consultant may specialize in, or work for a company that specializes in certain types of insurance. It is important that the insurance consultant disclose what lines of insurance that they, or the companies they represent, specialize in. The different types of insurance are auto, homeowners, health, life, disability income protection, and long-term care. What should I look for in a Certified Kingdom Advisor? A biblical worldview with God as the ultimate authority – a Christian financial professional should operate within a higher standard established by God and should adhere to biblical principles. An emphasis on stewardship – a Christian financial professional should understand that God owns everything and that we are only managers (Psalm 24:1). An eternal perspective on money – a Christian financial professional should help the client set a biblical worldview of their financial future as opposed to a “secular” worldview - funding God’s Kingdom as a focal point instead of accumulating money for the client’s use only. Responsible spending – a Christian financial professional should focus on avoiding a consumptive lifestyle by living within one’s means, spending less than one earns, saving and investing, and viewing the use of debt as something that should be avoided whenever possible. Integrity – a Christian financial professional should maintain the highest level of professional integrity by maintaining confidential relationships with his or her clients and by having a firm commitment to operate within the law. Christian financial professionals should also put the client’s best interest above their own. Professional competency – a Christian financial professional should have obtained the proper education, training and or designation to prepare him or her to perform comprehensive financial services for his or her client while always striving to improve his competence to practice. A good reputation – Proverbs tells us that, “a good name is more desirable than great riches,” and “to be esteemed is better than silver or gold.” A Christian financial professional should be held in high regard by his/her peers and clients, and he/she should be considered a leader in the community and church in which they belong. Do you do comprehensive financial planning? Do you work for an insurance company, investment company, or a broker-dealer that manufactures insurance or investment products? Are you compensated by fees, commissions, or both? If fee, do you charge a flat fee or an hourly rate? If commission, does that offset the fees? What is your process and how many times will we meet? Do you think it is good to pay off my house by retirement? What is your experience with investing? What professional certifications do you hold? How are you compensated? Fees? Commissions? A combination of fees and commissions? Once you have invested client assets, how do you monitor investment performance? How do you integrate a biblical world-view into your investment philosophy? How do you determine whether or not a client should be investing, and what is your process for selecting the most appropriate investment options? How often do your clients get statements of their investment holdings? Where are your clients’ investments held? A brokerage firm? A mutual fund? Which one? If a brokerage firm or mutual fund holds your clients’ investments, does the brokerage firm or fund charge separate fees for this? How often do you report performance to your clients? What type of investments do you use ? Load or no-load mutual funds? Stocks? Bonds Annnuities? Do you consider the impact of income taxes on investments choices made for a client? How and how often do you communicate with your clients? Phone? Live? Mail? Email? Newsletters? Do you provide other financial services beyond investments? What are those services? Have you helped a client in a similar situation? 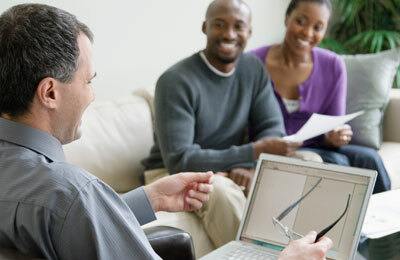 If you in need of financial planning, ask about their experience in that specific area. What are the nature, scope, and timing in completing the proposed assignment? Will my company and/or I be serviced by you, a partner or by junior accountants? What is your opinion of filing bankruptcy; use offshore trusts, aggressive tax-shelters? Can you tell me a little about your practices, and your successes and failures? What can I do to help you with your work and keep your fees to a minimum? How will you be communicating the results of your work to me? Do you perceive any conflicts of interests? How long have you been a Certified Public Accountant, and what other licenses do you hold? How conservative are you in interpreting tax laws and regulations and accounting and auditing standards? Are you required to recommend a particular company’s insurance policies? Does your company pay you higher compensation for recommending their proprietary products? How many companies do you represent? What is the rating of those companies? Rating agencies include AM Best, Standard & Poors, and Weiss. What is the breakdown and the percentage of your business coming from insurance commissions? Can you provide a breakdown of what percentage of your insurance income comes from the various lines of insurance, e.g.--life, disability, long-term care, health insurance, auto, home, and annuities? Can you tell me a little about your practice? How many lawyers in your firm? What is your client base made up of? What percentage of your clients is Christian/non-Christian? Have you handled complex situations? Give me an example of some of the complex cases you have handled. How long will it take for you to do my work? How responsive are you to my calls and questions? How timely is your work generally done? Do you have clients with similar situations like mine who might be willing to speak with me about your services? Do you have other professionals that might be willing to speak to me about your services? Are you in good standing with your local bar association? Have you ever been cited by a professional governing body for disciplinary reasons? What other outside activities are you involved in? Can the fee arrangements be set forth in writing before the engagement begins? What are the hourly rates of your associates? Will you be charging me for every phone conversation and/or meeting? What do you project my costs would be for your services? What are the nature, scope, and timing in completing the proposed assignment? What will the fees be? What is your opinion of filing bankruptcy; using offshore trusts, or aggressive tax-shelters? How long have you been an Enrolled Agent, and what other licenses do you hold? Are you conservative or aggressive in interpreting tax laws and regulations, and accounting and auditing standards?